Tales From the VO Talent Trenches: When Sickness Hits, Do You Push On or Go to Bed? I’m one of those people who never gets sick. Well, hardly ever. So when what I assumed was the flu took me down early last week, I thought I was going to have to do my usual routine and just power through it. That’s what has always worked on those rare occasions when I feel a bug trying to get me. It’s also the mindset that has come to permeate much of the nation, especially those in my generation who grew up with hard-working Midwestern ethics. We push through no matter what, getting the jobs done we said we’d do. Since I work from home, pushing through is typically a bit easier for me than those who head into the office. I can still try to get a few things done and just take it easy when I start feeling tired. Even though I speak for a living, I can postpone some recording sessions, work on other things that don’t require my voice, and take frequent breaks. Or at least I usually could. Not this time. 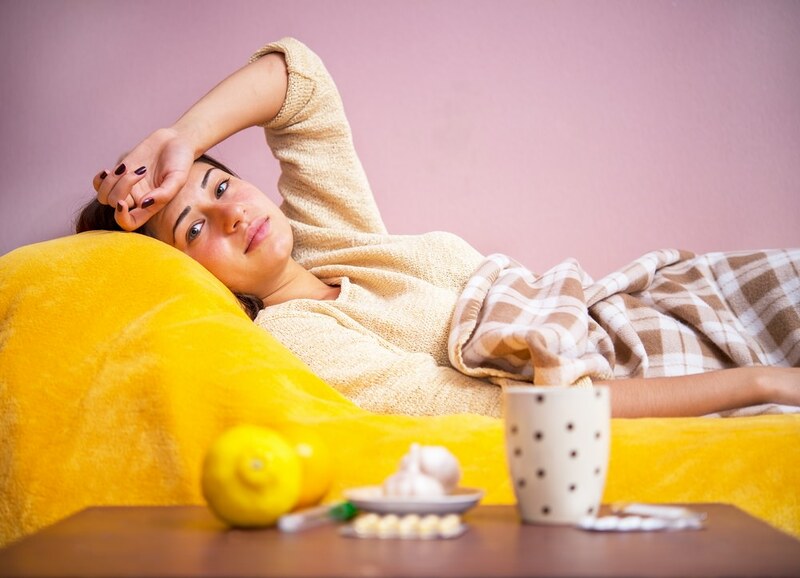 When this sickness swelled into seven full days of not getting better, I finally asked my husband to take me to the doctor, where I was promptly diagnosed with pneumonia. This was actually a relief to me, since now I could get a prescription and have some good ol’ Western medical assistance to get me on the mend. Seven days is just too dang long! Yeah, I know. Heading to the doctor can be a drag, especially if we’re not feeling well. But I now know to act sooner than a week down the line if I’m experiencing a fever that just won’t quit. Day five is my new benchmark for seeking medical attention. Fever or no fever, day five of an ongoing illness that shows no signs of improvement is a good time to get a professional opinion. Cost should not deter you. If you’re concerned about the cost of the doctor visit and prescription, think instead how much you’re missing in lost wages due to illness. As it happens, the antibiotic my doctor prescribed was $2.38 (after running it through my insurance)! Don’t be afraid to accept help. Yes, this one can be a tough one, too, especially for us hard-working, independent-minded Midwesterners. But if you get offers from friends and family to help – bring over food, take the kids out, make a grocery run, drive someone to their practice, etc. – TAKE THEM UP ON IT! Be honest with your clients. Trying to do the work when you’re simply not up to it can end in disaster – or at least a really lousy end product. I know, many of us think we can be superheroes who can still do a stellar job when plagued by a cold, flu — or even pneumonia. But, alas, we are merely humans. When I told my clients what was going on, I was surprised that in nearly every case, they were willing to wait for me to get better to complete their job. Thank you! Show appreciation. Whether it’s to your pals who picked up your groceries, your clients who were willing to wait for their jobs, or a loving spouse who cooked you up chicken soup at 2 a.m., remember to say thank you! This counts triple in the case of the loving spouse, who deserves some special love when it’s all over. And last but not least: “cough it up (and spit it out)!” Sorry for the explicit grossness of that, but it’s an important step to speed up recovery. It’s also a technique we’re still working to help my young son master. And yes, it truly does help! Stay well and warm this cold and flu season. I wish you all good health! And even though you may not need a vaccine against pneumonia, a flu shot could be a good place to start. Awesome post, Debbie. Spot on and I hope I learn from it (Yankee work ethic can make us do the same). Glad you’re on the mend! Thanks Shireen. Yes, hoping I remember my own advice, if there is a next time for me too! Thanks Debby. Starting to feel better today! Had I known, it would have been “Prayers Up!” for you and P.
Thanks so much Bob for the prayers up. I appreciate the support. Feeling better today! finally! I had a cold pop up about three weeks ago that was over in a few days, but allergies have affected my voice since then and its been a real beast to get the vocal cords back in shape. Take Care of yourself Rob. We forget how valuable our health and voices are, and sometimes just take them for granted. Got a really nice branding gig last week – and it fell at the final hurdle because of ‘sound quality’. That’s pretty unlikely, so I further checked my track. That crackle wasn’t electronic distortion, it was my voice! Strained by shouting a cartoon while I had a cold, and not properly QC’d while my head was a ball of wool. The English work ethic takes us as far astray as the American one, if we let it. Though possibly not quite so fast. Wow, Howard, that’s a tough lesson to learn. I guess we all overdo at times. Hope you can regain some ground on the gig lost. So sorry to hear you were so ill!!! Hope you are feeling better….pneumonia…that can be very serious. I see you are on the mend, will keep you in my thoughts and prayers dear one.